One very cool book I got for Christmas a few years ago is titled What Luther Says: A Practical In-Home Anthology For The Active Christian compiled Ewald M. Plass. Basically, it's a huge collection of all sorts of topics from A to Z and what Luther said or wrote about them, which is absolutely fantastic for me since I love good Christian quotes. "Nothing like this anthology can be found anywhere in the English-speaking world. There have been one or two brief collections of Luther's most famous utterances. This present set, however, contains no less than 5,100 quotations on more than 200 subjects, from 'Absolution' to 'Zeal.'" "These people hold that in the course of history few men have more honestly and successfully set themselves to seek knowledge concerning the will and the ways of God, as Scripture reveals them, than did Martin Luther." "Both friend and foe testify that Luther did exert an exceptionally strong influence upon all who met him. His was a personality so strongly marked that it was difficult to remain neutral toward him. Yet Luther's strength lay in what he said, not in what he was." 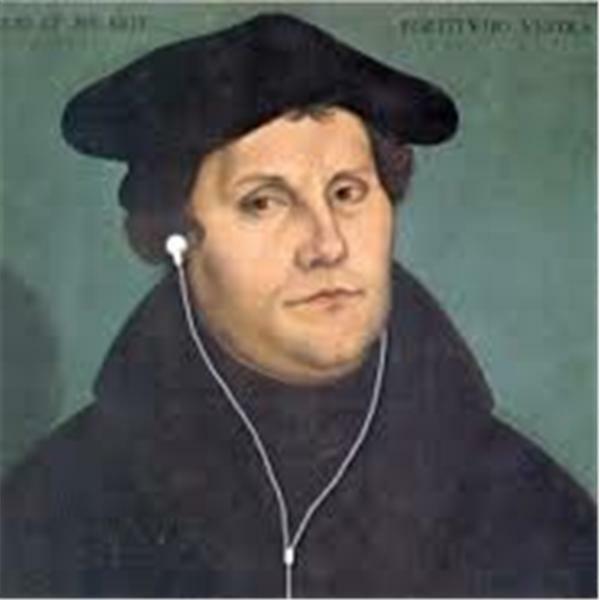 "A man may tell how far he has advanced in theology by the degree in which he is pleased by Luther's writings"
"In subsequent generations the interest in Luther's writings was a veritable theological barometer which indicated the falling or rising interest in loyalty to Scripture. 'Back to Scripture' implied and involved, if it did not consciously call for, a return to Luther; for the two are often correlatives. The increased interest in the writings of Luther at the time of the revival of orthodoxy in the last century was, therefore, not a meaningless coincidence." 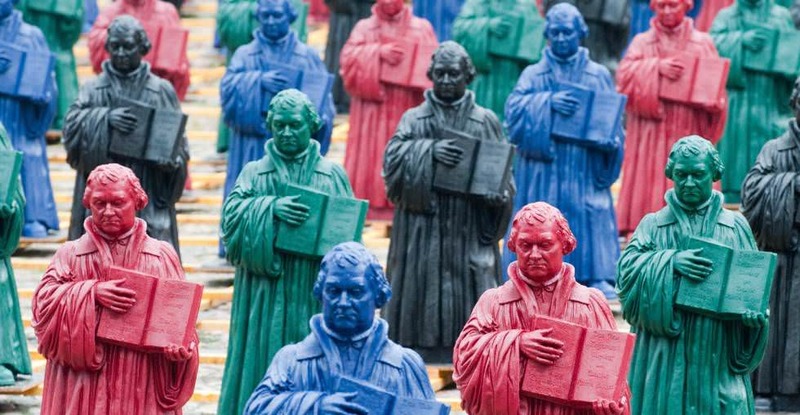 "Thousands have recognized in Luther the greatest witness of the truth since the day of the apostles and prophets"
"It is true, Luther has been accused of being repetitious; and what seems to aggravate the charge is the fact that at times he himself makes it. Luther himself one day remarked concerning the doctrine of salvation by faith alone that a good song deserves to be heard more than once. So thought St. Paul (Philippians 3:1). But let us concede that at times Luther is repetitious to a fault. We hold that an investigation will reveal that the Reformer most frequently lapses into repeating himself when he treats of matters that are particular concern to him. Prominent in this group of topics were the sanctity of the Word, and salvation through faith in Christ alone. His repetitiousness at such times seems to have been largely the result of an intensity of conviction concerning which we may say that 'out of the abundance of the heart the mouth speaketh' -- and the pen writeth." "Martin Luther took no royalties; he neither asked for them nor received them. The fact of the matter is that he did not want them. He never wrote a book to make money on it. He took up his pen for the love of his God and His people; and he once said that the Savior had already repaid him a thousandfold for anything he might write." "Probably to most people of his day Luther was, above all, the preacher of the Gospel, although he entered the lecture room before he ascended the pulpit." "Martin Luther's supreme interest in life was to glorify the God of grace, whom he had finally found in Christ, and to lead men to His Word. We know of no man's writings that are more saturated with Scripture than those of this great champion of the Bible." "The Reformer had no desire to impress anyone in or out of the pulpit with an air of professional dignity. There was nothing stiff or unctuous about the man. He was very human; and he could afford to be what he was. His character was great enough and his personality impressive enough to dispense with any artificial props. In consequence, a subtle humor now and then is at play in the discussion of the most serious matters, a humor that adds lightness but not levity to the subject." "A voice and a pen -- this is all. But there is more power in this voice and this pen to shake and mould the world than in all the bulls of a pope or the armed strength of emperor and kings." "Luther never wrote anything merely to satisfy his scholarly urge, merely because his research in a field in which he was interested had discovered something of significance to the learned world. Luther held that God had revealed nothing merely to gratify the curiosity of man. He was sure that the Christian religion was, above all, practical and functional and that all the golden truths of Scripture were to be coined into conduct, were designed to make man not merely wiser but also better. A Christian's love is practical; it goes to work, and all the world becomes its beneficiary. These qualities made his writings not academic treatises but tracts for the times." "Luther disavows everything and anything that does not square with Scripture. What is not Scriptural should not be considered Lutheran. In this respect therefore 'Lutheran' is in reality a personal and dated name for an impersonal and undated principle: unquestioning loyalty to Scripture as the Word of God." "He wrote to direct men not to himself but to Christ in the Word." "He meant, above all, to instruct and to inspire, to confirm and to comfort people in general; he addressed men as his fellow sinners rather than his fellow scholars. To Martin Luther learning was the means to an end, not an end in itself; it was the scaffolding, not the building." "In his own days Luther expressed a complaint about Scripture study which is not out of place in our own times. He said that there was an unfortunate tendency to rush to commentaries before carefully studying Scripture itself and basing one's faith on its bare text without comment." "We see, then, that Luther himself cautioned against a translation that is slavishly literal. But it is as necessary to avoid the other extreme, paraphrasing instead of translating." "'For the sake of my Lord Christ' is a fitting motto for the life and labors of Martin Luther. How the man learned to love Christ! How he glorified Him in his writings! He knew of no other God, wanted no other God, needed no other God. Indeed, 'there is no other God, He holds the field forever,' holds it forever also in the writings and in the theology of Luther. This intense love of the Reformer is infectious. Luther has a way of making you feel the nearness of God and filling you with the love of Christ. But this love is far from being a dreamy emotionalism that evaporates in rapturous phrases. It is decidedly virile; there is nothing morbidly maudlin or mystical about it. It makes me want to be something and do something 'for the sake of my Lord Christ.'" "Truly, Luther's writings are never outdated; they are as modern as the love of God in Christ, which they glorify. 'He being dead yet speaketh.'" I know that's a lot to digest (and we haven't even gotten to today's primary quote from Luther yet), but how great were those excerpts from that Introduction by Mr. Plass? Anyway, now that the formalities are out of the way, please allow me quickly explain my intentions with a lengthy post like this one. Simply put, I just thought it would be edifying and fun to share some of Luther's finest statements with all of you on a regular basis. Better yet, I also thought it would be a good way to help me to continue to learn Lutheran doctrine (a.k.a. orthodox Christianity) in the process. Plass: "UNFORTUNATELY, human nature is restless and unstable. It is curious, and it likes novelties. It is soon sated and surfeited. A change is welcomed and, therefore, easily confused with improvement and with progress. And so the soil is ready to receive the seed of the tares of heresy. Such is the tale history tells, Luther says in his On the Councils and the Churches (1539)." The world wants to be deceived. If you want to catch many robins and other birds, place an owl on the trap or lime rod, and you will meet with success. So when the devil wants to catch Christians, he must set up a monk's cowl or, as Christ calls it in Matthew 6:16, a sour, hypocritical face. Then we marvel far more at these owls than at the true suffering, blood, wounds, death, and resurrection that we see and hear in Christ, our Lord, who suffered for our sin. ... For we must always have something new. Christ's death and resurrection, faith and love, are now old and common, wherefore they mean nothing any more; but we must have new things to tickle our ears, as St. Paul say 2 Timothy 4:3. And since our ears itch so much that we can no longer endure the ancient, real truth, it serves us right ut acervemus (2 Timothy 4:3), that we load upon ourselves, great heaps of new doctrines. "VALIANTLY, Luther tried to remove these 'heaps,' e.g., at Worms in 1521. But he met with little response. His call to Christendom to return to the standard of Scripture alone was either misconstrued or ridiculed. He was called stubborn and opinionated, seditious and irreconcilable. Against such charges he defended himself in a letter to Count Albrecht of Mansfeld on May 3, 1521." And so it is today still -- Christians have "itching ears" desiring to hear something new and entertaining and they flock to teachers who are more than willing to tell them precisely what they want to hear, rather than what God declares in His Word. We should not judge our Pastors' preaching (or teachings from Christian leaders, teachers, family members, and friends) on whether they say the things we personally like to hear. We should judge any preaching and teaching instead on God's Word. Yes, God's Word sometimes cuts like a knife whenever it exposes our many sins. 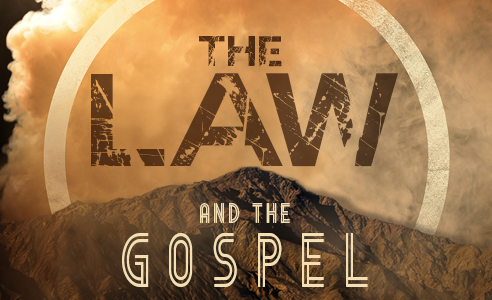 Yet, after the Law comes the Gospel of forgiveness, healing, peace and restoration that binds up the wounds inflicted by the hammer of God's Law. 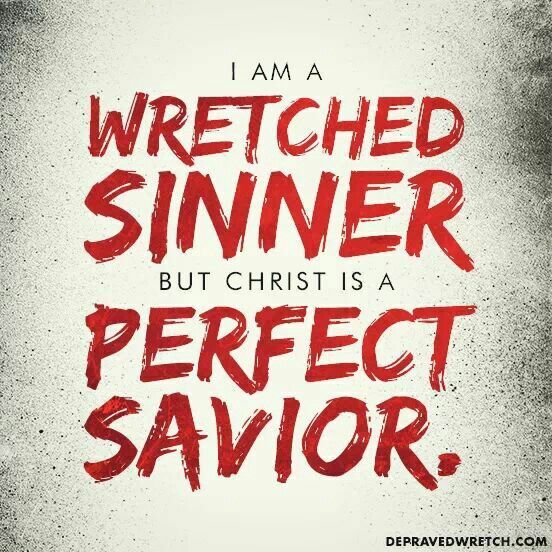 It is this sweet Gospel of Jesus Christ that proclaims Christ's forgiveness for all of our sins and it is a free gift that's for you, for me, and for all mankind! We pray that the Lord would not let us seek preaching and teaching that satisfies our own sinful desires, but that He would lead us to preaching and teaching that will continually return us to the forgiveness He has given us through our Holy Baptism, through our Savior Jesus Christ, and through Holy Communion. In a Lutheran layman's terms, please spend some time reading and prayerfully considering what Martin Luther said about various topics, not because His words alone are "Gospel truth," but because he will always point you to the Gospel truths of the matter or, those doctrines that are derived from the holy Word of God. NOTE: Please understand that I'm not a called and ordained minister of God's Word and Sacraments. I'm a layman or just your average everyday Christian, Corporate Recruiter, Husband, Father, Friend who lives in the "City of Good Neighbors" here on the East Coast. As another Christian Blogger once wrote, "Please do not see this blog as me attempting to 'publicly teach' the faith, but view it as an informal Public Journal of sorts about my own experiences and journey, and if any of my notes here help you in any way at all, then I say, 'Praise the Lord!' but please do double check them against the Word of God and with your own Pastor." To be more specific, and relevant to the point I want to make with this disclaimer/note, please understand that I'm a relatively new convert to "Confessional Lutheranism" and one who recently escaped an American-Evangelical-Non-Denominational mindset a little more than 4 years ago now despite being a Christian my whole life. That being said, please contact me ASAP if you believe that any of my "old beliefs" seem to have crept their way back into any of the material you see published here, and especially if any of the content is inconsistent with the Bible, our Confessions, and Lutheran doctrine in general (in other words, if it's not consistent with God's Word, which our Confessions merely summarize and repeatedly point us back to over and over again) so that I can not only correct those errors immediately and not lead any of His little ones astray (James 3:1), but repent of my sin and learn the whole truth myself. With that in mind, please be aware that you might also discover that some of the earlier/older pieces I wrote for this blog back in 2013 definitely fall into that "Old Evangelical Adam" category (and they don't have a disclaimer like this) since I was a "Lutheran-In-Name-Only" at the time and was completely oblivious to the fact that a Christian "Book of Concord" even existed (Small/Large Catechism? What's that!?!). This knowledge of the Lutheran basics was completely foreign to me even though I was baptized, confirmed, and married in an LCMS church! So, there are some entries that are a little "out there" so-to-speak since the subject matter was also heavily influenced by those old beliefs of mine. I know that now and I'm still learning. Anyway, I decided to leave those published posts up on this website and in cyberspace only because they are not blasphemous/heretical, because I now have this disclaimer, and only to demonstrate the continuing work of Christ and the Holy Spirit in my life (Hebrews 12:2; Philippians 1:6). 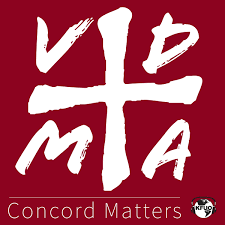 Most importantly, please know that any time I engage in commenting on and/or interpreting a specific portion of the holy Scriptures, it will always closely follow the verse-by-verse footnotes from my Lutheran Study Bible and/or include references to the Book of Concord unless otherwise noted. Typically, I will defer to what other Lutheran Pastors both past and present have already preached and taught about such passages since they are the called and ordained under-shepherds of our souls here on earth. Finally, I'm going to apologize ahead of time for the length of most entries (this disclaimer/note is a perfect example of what I mean! haha). I'm well aware that blogs should be short, sweet, and to the point, but I've never been one to follow the rules when it comes to writing. Besides, this website is more like a "Christian Dude's Diary" in the sense that everything I write about and share publicly isn't always what's "popular" or "#trending" at the time, but is instead all the things that I'm studying myself at the moment. For better or for worse, these posts tend to be much longer than most blog entries you'll find elsewhere only because I try to pack as much info as possible into a single piece so that I can refer to it again and again over time if I need to (and so that it can be a valuable resource for others -- if possible, a "One-Stop-Shop" of sorts). 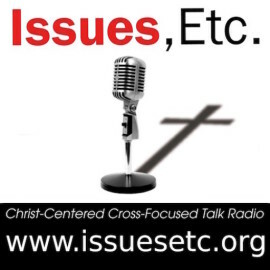 Thank you for stopping by and thank you in advance for your time, help, and understanding. Feel free to comment/email me at any time. Grace and peace to you and yours!